The iPhone X marked a new milestone in Apple's smartphone history, but for anyone hoping for an equally showstopping launch in 2018 it seems you'll be out of luck. Renowned Apple analyst, Ming-Chi Kuo from KGI Securities has published his latest research note on what he reckons we can expect from the Cupertino, California based firm this year - and as far as the iPhone X2 goes (or iPhone XI as it'll more likely be styled), it's minimal. It's not all bad news though, as he tips Apple to increase battery capacity by 10% in the iPhone XI, thanks to a new two-cell, L shape battery design. For those yearning for more screen, Kuo also tips a larger version with a 6.5-inch screen (the iPhone X has a 5.8-inch display), which we would expect to be called the iPhone X2 Plus (or XI Plus) if it does exist. This version wouldn't only offer a larger display, but also 4GB of RAM and a 25% larger battery of around 3,300/3,400mAh. While Apple's flagship iPhone X series doesn't appear that it will bring us anything particularly new to the table, Kuo does provide information on a potentially 'all new iPhone'. The device in question is said to feature a 6.1-inch LCD display with ultra-slim bezels of just 0.5mm. 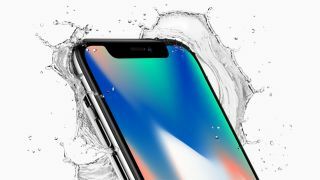 It's tipped to feature the TureDepth camera from the iPhone X, providing Face ID and Animoji support, and it could have a lower price tag than the X series. It's claimed that this new iPhone won't have a physical home button, nor will it feature Apple's 3D Touch screen technology. Kuo suggests it will be priced between $700 and $800, which would make it a similar price to the iPhone 8.